The trio were sentenced for more than 7 years. Jeremy Dawes, 46, of Ringway Avenue, Leigh was sentenced to four years and eight months in prison after pleading guilty to conspiracy to defraud, fraud by abuse of position and money laundering. Simon Bleakley, 43, of Kelso Grove, Hindley was sentenced to three years and three months in prison after pleading guilty to fraud by abuse of position, conspiracy to defraud and money laundering. 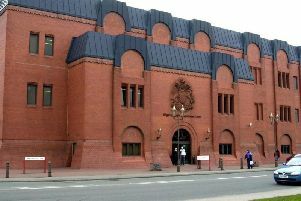 Patricia Bleakley, 46, of Kelso Grove, Hindley was sentenced to 18 months in prison, suspended for two years and is also required to do 120 hours of unpaid work, after pleading guilty to money laundering. Detective Constable Tim Hanson from GMP’s Specialist Fraud Investigation Team, said: “This is a family-run company, built upon dedication and hard work that employs a number of people in the local community.